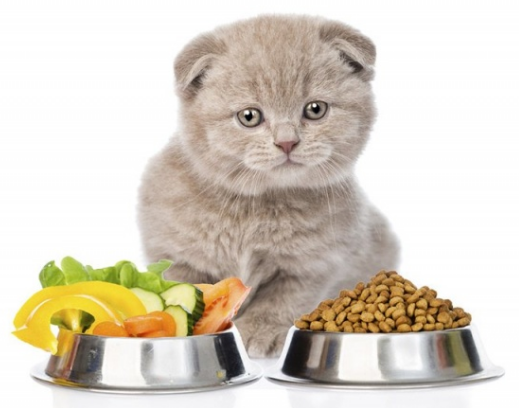 Feeding your pet will depend a great deal on his age. Older cats require two small meals or one large meal for the day. Kittens on the other hand, require several feedings a day until they get around the age of 12 weeks. Cats that are between three and six months of age need to be fed three times a day. Canned food can be fed to cats, although any food that has been left out longer than 30 minutes need to be disposed of. Canned food can get expensive fast, and you should always keep in mind that some may need to be thrown away when you buy it. Cats loved canned food, although it doesn’t have any benefits to their dental health like dry food does. As an alternative plan, you can always leave a supply of dry food out for your pet. When you give your cat dry food, you should always make sure that he has enough water. Dry food costs less than canned food, and it can also help to prevent the buildup of tartar on your cat’s teeth. When you buy dry food, you should always look in terms of health and benefits, and stay away from generic food. Even though generic food may be cheaper, it may not offer the nutrients your pet needs. 0 Response to "Taking Care Of Cats"